Find best wishes for every occassion. 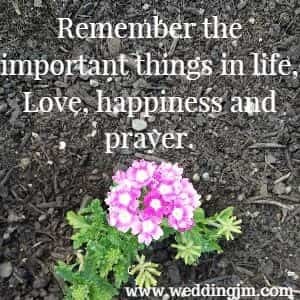 Also use our poems, messages, toasts and quotes to express your thoughts. With life being all it is, there are many opportunities to send your best wishes to friends, family and even colleagues. Allow our assortment of wishes to help you no matter what the situation is. Special occasions, holidays and even during hard times, there is a wish for everyone in every season of their life. The best time to start over is today. Keep your dreams and wishes alive by working a bit toward them each and every day. May you find only the best, wishing you all happiness. Sending you sunshine to brighten your day. Give it your best all the way. Wishing that all your dreams come true, you can do it we have faith in you. Your good news warms my heart, we are so happy for you. Best wishes to you. Only the best dreams will come to you. Good luck, God bless. Your wishes have come true. Always just do your best. And then let go of the rest. During this special time in your life we want you to know we only wish the very best for you. Give it your best, do it with all your heart. 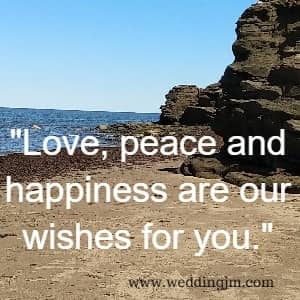 Love, peace and happiness are our wishes for you. May life's best only find its way to you. If wishes were stars, what the happiness I wish for you would fill the universe. You are amazing, you defeated the odds. 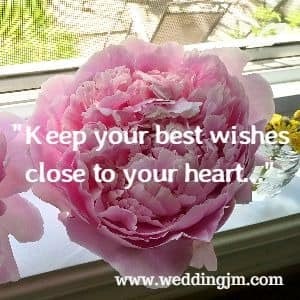 Best wishes are sent congratulating you. Will wishing is good, doing your best is better. So best wishes to you my in all you do. Never give up, never quit trying. Those who do only start dying. No matter how small the steps, your actions will make a difference over the long run. Best wishes to you. The future is bright, your wishes are today a dream. Set your goals and and the best will come to you. May success find you in all your endeavors. Best wishes to you. I wish you happiness, success and only the best that life has to offer. Don't look back, keep moving forward, learn from your mistakes but never let them stop you. Warm wishes are sent from me to you. You will be successful in all that you do. Life has its ups and downs, and together we have been such clowns. But today I wish only the best for you, my friend be happy in all you do. May your future be prosperous, may your life be filled with good friends and family. We only wish the very best for you. May God shine sunshine and happiness on you. May good things find there way to you. May today hold more blessings that your yesterday. If dishes were wishes then a house full of dishes is what we would send to you. You hold the pen that writes the next chapter of your life. Best wishes and lots of ink are wished for you. Best wishes are sent to you, the person who has had a positive impact on our life. There is never a perfect time, nor a perfect place to make your dreams come true. But one goal at a time will change reality for you. Impossible is a word for those who don't have dreams. You will make it possible because your determination strong. We wish you more than luck and wishes, we wish you perseverance and dedication. We believe in you. Many wishes coming your way on your special day! Embrace all the love and kindness that will be show to you today! Loving every moment of watching you succeed again and again! Today is no exception! Best wishes on your next adventure. May you enjoy every moment. 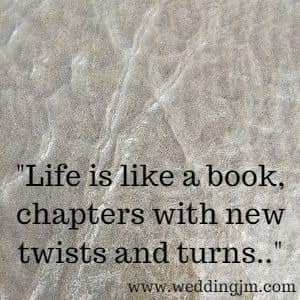 Life is like a book, chapters with new twists and turns. But keep reading as only blessings are wished for you. You only have one today, so make it count and be thankful for everything that happens. Luckily for you today is your day! Only you can bring you down. And never let me find you sporting a frown. Your future looks so bright. And may you continue to be a delight. And you find yourself unsure. Who would be happy to make you feel secure. Without the important things it wouldn't be fun to be a millionaire. Choose the right ones and you'll be free. Friends we have been even when we were blue. I wish you nothing but happiness on this day. Always work hard but always be glad. And may you your days never be blue. May your love be real and your lovers be sincere. And May your enemies be far and few between. When I look at you I see a wonderful person who only has concern for others. I see a person who always see the good in everything. I see a person who can turn a frown into a smile just by walking into a room. When I look at you I see greatness and I feel exceptionally lucky to not only know you, but be part of your life. From as far as I can remember I have watched you struggle yet never giving up. And with that I wish you nothing but the best in everything you do. Stay strong, be fearce and continue fighting for what yourself and others. Over the course of a year I have watched you try and try again. Success doesn't come easliy and at a young age you seem to understand that. Continue fighting for your dreams knowing you have many prayers and wishes coming your way. I wish you many years of saying good luck, when none is really needed. May you never need luck to accomplish your dreams. May your hard work and perseverance be all the luck you need. To a friend who feels like family most of the time, wishing you all the best in your future endeveaurs. Create a journey that is yours. Do not follow others who think they know whats best for you. 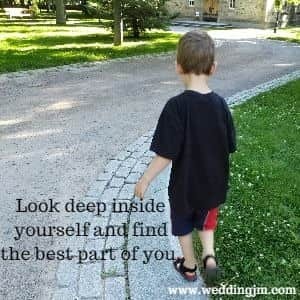 Look deep inside yourself and find the best part of you. I am so thankful to have you in my life showing me what a good person looks like. I can only wish that you will be awarded for your awesomeness! Loving you has been one of the best things in my life. Knowing you has been extraordinary. Wishing you all the best is an honor. I know you will do great in anything you choose. Wishing you many loving moments, happy times and amazing adventures. I can hardly believe you are off to start a life of your own. No figures crossed needed here. I know how great you will do! Life is sometimes a bit unpredictable, but that doesn't worry me. I know you can handle what ever is thrown at you! You are a strong, loving and fabulous person. Wishing that these traits never fade and many more great ones are added. You seriously are the best person I know and I am so happy to have someone so kind and gental in my life. I can only hope you will find more like-minded people to welcome you to your new life. Never stop wishing and dreaming, but be realistic. If you put the work in, your dreams will come true, if you don't, well then you may just have to keep dreaming! Kind wishes to you and your family. May the warmth you feel in the summer continue into the winter to hold you close together in love. I am blown away by your commitment and love. I have so many compliments to share with you. I hope one day we will meet again. If I could give you a high five right now I would, but you deserve so much more than that! Consider this a virtual double high five until it can be done in reality. Life is moving at a speed none of us can slow down, but you seem to have it all under control. Best of luck in all you do. I love that there are so many reasons to send our best wishes in a year, but my favourite is for no reason at all. Just because I love you I wish you nothing but the best.